You know you can't be the same when you see it. Abject poverty. Children picking through trash to find food, hollow eyes where their should be laughter. A baby carried on a six year olds back, what little clothes they have hanging off of them, a mother with a load far too big for her to carry. The weight of work that doesn't pay. The weight of a world broken and falling apart. So you come home and you stare into your open closet with your mind spinning. It all feels like too much. So you grab the trash bags and start filling them. The spinning stops for a minute when you drop those bags off downtown at the women's shelter. You swear off of hazelnut lattes, nail polish, and new clothes. It this world is broken then you are going to fix it by breaking your world into little pieces and giving it away. Then, in the triple-digit heat of summer, you realize you tossed one too many pairs of those shorts. So you go to buy more, but this time you bear the weight of the shame that comes with failing. You want to break your life apart to fix a broken world, but you find yourself buying it back. Piece by piece. This time with a burden of guilt. How do you make a broken world beautiful when you keep breaking your promises? You beg and you pray and you donate as much money as you can to the people who are trying to help. You mean to change the world, but the world starts to feel a little distant. Intangible. Except, over here? We brought a bright and beautiful reminder home with us when we brought our boys home. A reminder that we can touch, see, and hear. Souls that can share the pain of what it's like to live in the most broken places of this hard broken world. I wanted to help. I wanted something I could do. So I found myself prying open a colorful little cloth bag, filled with jewelry that reflected bright in my eyes. It was beautiful. Because these women that are worlds away? Were doing beautiful things, and they invited me to participate in the beautiful world they were making. Do I want in? Yes. I want be in that place where workers have jobs that can sustain their families. I want to my hands to reach out and hold those of the women who are making the world a more beautiful place. So I signed on to be a Noonday Ambassador. 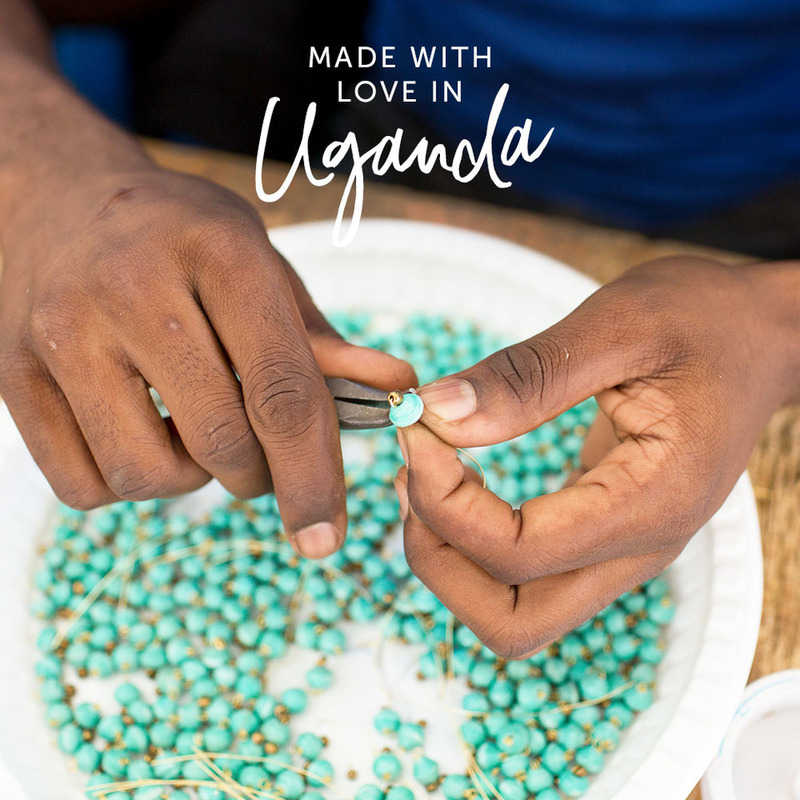 Noonday partners with artisans around the world to create markets that support developing economies. It is literally and figuratively beauty in a broken world. I wanted to break my life to fix a broken world, but these women called me to see the beauty in my life to make a more beautiful world. We believe Jesus is making all things new and we join that redemptive work when we call out the beauty in the brokenness. We believe there is no service too small and that caring about anything makes us more compassionate about everything. We believe our faith starts with Jesus and moves boldly forward into every part of our world. We believe when we let God into our closets, bedrooms, and kitchens; when our faith goes before us into coffee shops, car rides, and strange new space that is where we change the world to be on earth as it is in heaven. This is what it means to me to live a bright and beautiful life. Because this privilege we have to be able to run to the store and grab a new purse? It can be a gift to serve others if we are willing to extend a hand. So I would love to extend my hand to you today. Let's grab hands and call out the beautiful in this world together. I invite you to go browse my Noonday Collection page. Or better yet? Message me and we can throw a party. Still not enough? Message me and we can make you a partner in this flourishing world too. Also, we still have one more day left for my Instagram give away! Go check it out!